Jovanni and Molly might be the most interesting sibling group in the whole Heart Gallery. They are just an irresistibly cute brother and sister, as you can tell, and they love each other very much. But they grew up in a home defined by instability and solitude, and their day-to-day lives were full of uncertainty and doubt. This environment lead them to pick up some bad habits, like stealing and lying. Those behaviors were necessary evils at the time, but now they create issues, as you might expect. But it’s hard to get upset with them, because you understand where the behavior comes from…and they’re so darned cute! They’ve made a lot of progress as they’ve gotten older, but they will need a family life full of patience, consistency, and clear expectations to help them replace those bad habits with good ones. 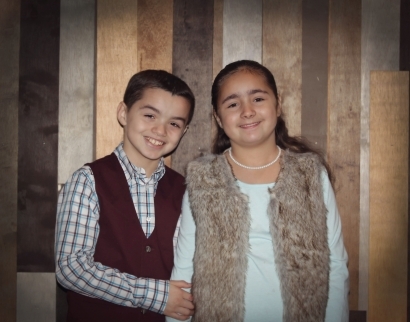 Trust is the key motivator with Jovanni and Molly – as they grow to trust that you’ll be there for them and that you can meet their needs, they’ll become the great people they’re destined to be. They just need you to help them along the way.